Non-members who become members of LA-CAMFT receive a 50% discount over the non-member price on a single issue. NO EMAIL SUBMISSIONS WILL BE ACCEPTED! eBlasts do not appear in the newsletter. Ads are published in one publication email, which is sent on or about the 15th of the month. Ads will be listed in the order received and term of the ad. Ads are not proofread. Please check your ad before submitting. Formatting will be done by our advertising committee. Ads are limited to a maximum of 150 characters per bullet point . . . 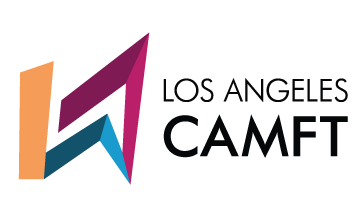 If you need to include a link and are short on space, please email co-administrator@lacamft.org to let us know which word(s) in one of your bullet points you'd like to hyperlink. Call to Action section is limited to a maximum of 150 characters. Note: For those submitting in one transaction a single eBlast ad to run in 2 or more consecutive issues, you will still need to abide by the guidelines and submit any edits/updates to your ad by the 25th of each month. If we do not hear from you, your previous month's ad will be used or postponed, at our editor's discretion. Enter your contact information (name, address, phone number, email address). Enter your eBlast information (title, bullet points*, call to action, contact email and/or phone number) *Bullet points should be just that—short and to the point (no more than 150 characters each). Choose the number of months you wish your eBlast ad to run and complete the credit card payment information. Check the total cost of your ad and then click the Submit eBlast Ad button. Confirmation of your submission and a receipt will be emailed to you.